Eagerly awaiting your arrival at our newest establishment, we hope to see you in Saint-Etienne! Located in the heart of the Chateaucreux business district, this new hotel offers 84 rooms at a low price. 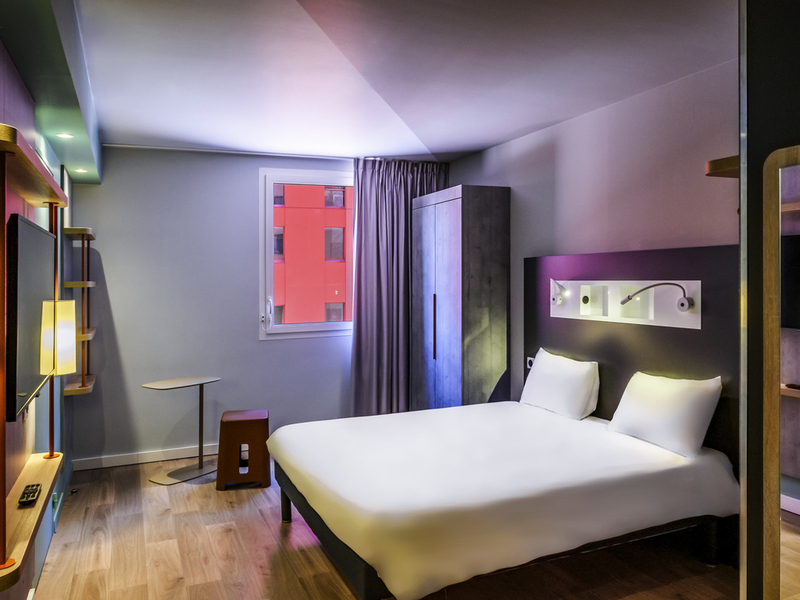 Hotel ibis Budget Saint-Etienne Centre Gare Chateaucreux invites you to discover the new concept of the brand with a relaxing decor in a dynamic and modern color atmosphere. Saint Etienne accentuates its many attractive and welcoming drawing points. A special natural setting with the Pilat Park with cultural riches such as the Comédie, the Opéra, the Modern Art Museum, the Cité du design and the Stade Geoffroy Guichard!